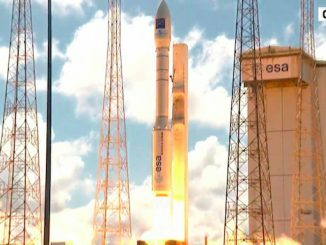 A European-built, Turkish-owned spy satellite rocketed into orbit Monday aboard a Vega booster launched from French Guiana, part of a $300 million project to feed improved surveillance imagery to the Turkish military and advance the country’s aerospace manufacturing base. 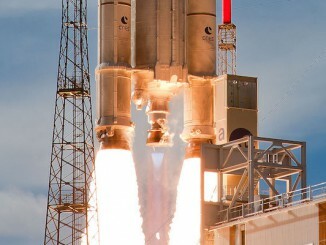 A Vega rocket lifted off from a tropical launch pad in French Guiana at 1351 GMT (8:51 a.m. EST) Monday with Gokturk 1, a sharp-eyed reconnaissance satellite built in France and owned by the Turkish armed forces. 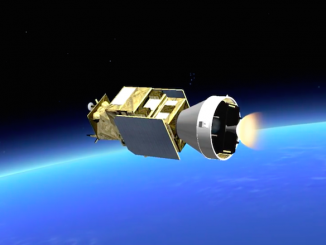 Turkey’s most advanced Earth observation satellite will ride a four-stage Vega rocket into polar orbit nearly 435 miles above Earth to begin collecting high-resolution images for Turkish military and security authorities. 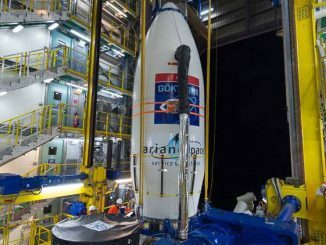 A European-built reconnaissance satellite for the Turkish armed forces has been fastened to the top of its Vega launcher for liftoff from French Guiana next week. 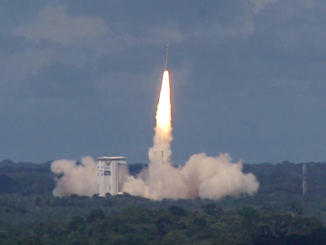 Arianespace plans 11 launches from French Guiana this year, including eight flights by the heavy-lift Ariane 5 rocket with up to a dozen large telecommunications satellites and four spacecraft for Europe’s Galileo navigation system. 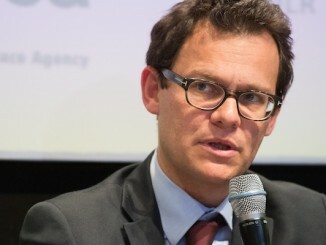 Arianespace chief executive Stéphane Israël discussed his company’s outlook with Spaceflight Now, touching on the light-class Vega rocket’s business prospects, the launch manifest in 2016, Arianespace’s view of innovation in the launch market, and his plans to compete in the next decade.